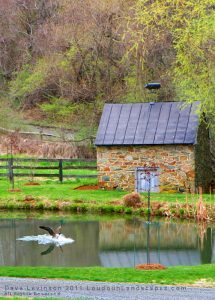 An expansive historic barn rests next to a slow moving creek in central Loudoun County, Virginia. The unique brown stain covering the boards of the barn seem to "hum" in the ambient glow of the setting sun. 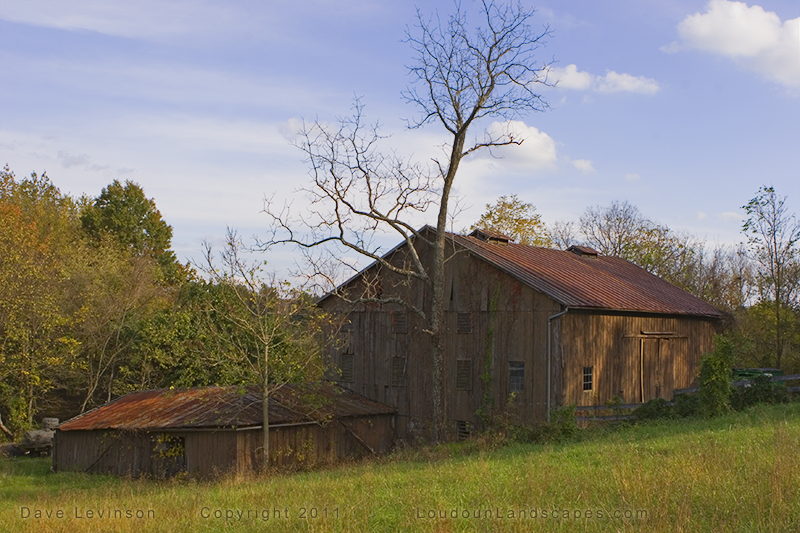 Similar effects have been seen on weathered red boards of other barns, but this particular hue seems to react with the sun in a more dramatic way. Adding to the late, long rays of the run were the swaying tops of long field grass. Topped with perfect-day clouds, it was hard to leave this spot. Today, this barn is mainly used to store landscaping and agricultural equipment for the plantation. In its day, it was likely used to store grains and hay. With a large second floor "vault", several years worth of field fruit could have been stored for future use, and sale. Lately I've come to know that seed barns were used here in Loudoun County like today's modern banks. Farmers could store their seeds and use them as capital. Between the barn and the creek stands a large Osage-orange tree. The amazing and unusual fruit from this tree could be seen in various places around the plantation this day. The fruit are lime green in color (in fall), are covered with oblong raised bumps (drupes) and average 5" in diameter. I've since learned the wood from this tree was used by American Indians to make bows. 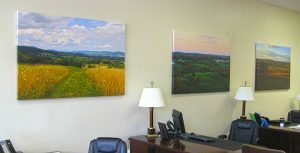 Being a Loudoun County Landscape Photographer surely is not difficult with scenes like this. While barns such as this one are disappearing, they are still in abundance if you know where to look. Oatlands Plantation is unique in that the working complex remains much like it did a hundred years ago. While the central plantation does not farm today, the buildings and roads remain in tact. 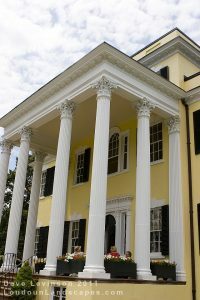 This national historic site is working hard to uncover untold stories of its past. There is currently an archeological dig underway to examine foundations long lost under existing buildings. This weekend the site was exposed for visitors to peer into the past; a five foot hole under another barn.